He earned his Doctor of Chiropractic degree from Palmer Chiropractic College in 1975, achieving the distinction of class valedictorian. Following an internship, Dr. Mark founded the Family Chiropractic Center in 1977. 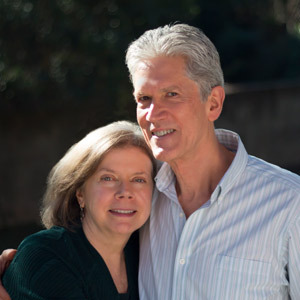 He has earned numerous postgraduate certifications in areas including Applied Kinesiology, Clinical Kinesiology, Fascial Distortion, Koren Specific Technique, Clinical Nutrition and Functional Endocrinology. Dr. Mark completed an extensive coach training program through CoachU in 2002, and includes a “Health Coach” dynamic in his practice. Dr. Mark is a member of the Texas Chiropractic Association and the International College of Applied Kinesiology. He has served as a director on boards of various organizations including Austin Area Holistic Health Association, Whole Health Institute, International Emissaries, Austin Center for Attitudinal Healing, and Renaissance Business Associates. As a representative of the Whole Health Institute, he has led missions and educational programs in Belize, Japan, Australia and New Zealand. He is a trained mediator and has served as a volunteer at the Austin Dispute Resolution Center. Dr. Mark served as chairman of the board of Glen Ivy Hot Springs, an internationally recognized spa in Corona, California for 14 years. Dr. Mark and his wife BJ enjoy traveling, gardening, playing duplicate bridge and working out at Orange Theory. He also likes to cook, read, get together with friends and swim at Barton Springs Pool in Austin. He and BJ have two sons: Derik and Matt. Dr. Derik and his partner Shanna have a young daughter Jordan. Matt, a medical doctor, is a graduate of Baylor College of Medicine and lives in San Francisco with his wife, Susan, who is also an M.D, and their daughter Zoe. “Recently my cardiologist recommended that I take a newly released drug to reduce my cholesterol and inflammation in my cardiovascular system. I took this as indication I needed to change something in my lifestyle rather than just changing lab values with a drug. My research indicated that significantly restricting certain foods would also create the necessary changes.” Within three months, Dr. Mark reversed all the problematic lab values by diet alone. His excellent results have encouraged him to offer similar recommendations to his patients. If you’d like to begin your journey to healing and health, contact us today to book an appointment with Dr. Mark!